Lynne Wilkinson from Dronfield, Derbyshire approached us after picking up our leaflet at the Rutland Arms Antiques Centre in Bakewell, Derbyshire. 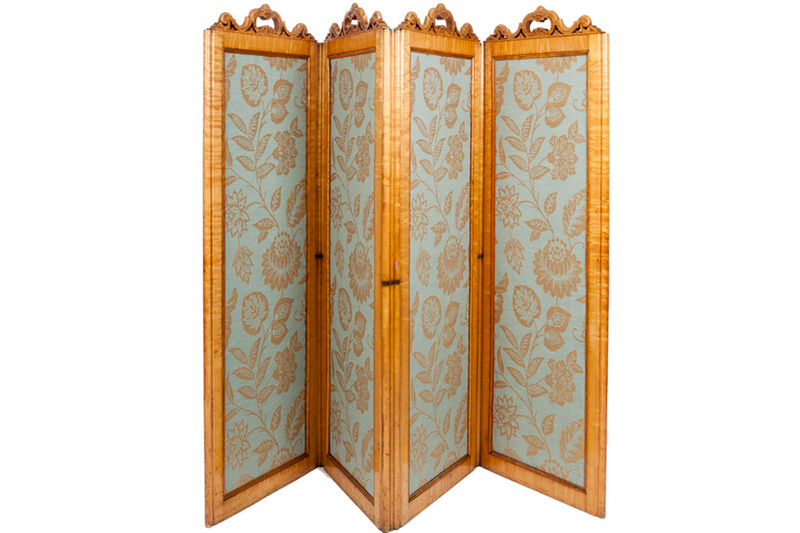 Lynne asked if we could re-panel her antique dressing screen which was old and tired, in a fresh new fabric. Lynne choose a beautiful duck egg blue and gold fabric from our Linwood range of fabrics which complemented the screen perfectly and we also replaced some of the beadwork strips around the panels which were missing.